If deepening introspection and the cultivation of stillness, sensory relaxation and the most challenging tasks of mental purification resonate with you, this is the retreat for you! On a Vishaad Yoga retreat you can be certain of delving deeply into your subconscious and discovering many of the blocks preventing your mind from becoming tranquil. A common feature of our retreats is ENERGY; out of stillness flows energy and this has to be experienced to be understood. In the safe tranquil environment of a retreat, we help you to learn the processes which will open the doorways to stillness. As you acquire inner harmony, energy levels rise automatically and great changes and genuine happiness result. There are many retreats where a Yogin can go to enjoy physicality, to reconnect with one's body and to savour and delight in increased sensual experience. We have a slightly different approach. Whilst you are with us you will be helped to connect with stillness inside so that when you do re-connect outside, everything is more enjoyable! 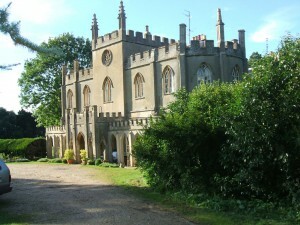 Our retreats are usually for small groups (12 preferred), fully residential and are held at venues such as Braziers Park, Oxfordshire. 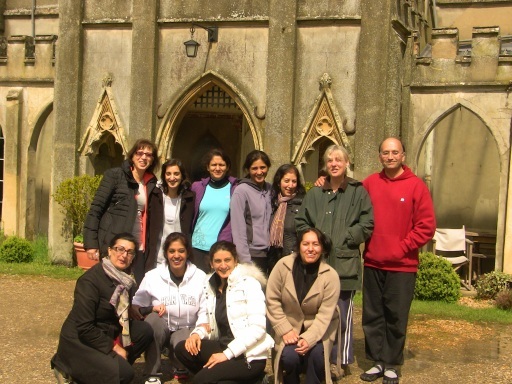 For next year we are planning retreats in Oxford, Zurich, Dorset and a Masterclass Retreat in India. Once you have been practicing what passes for conventional Yoga for a while, once you have learned how to safely conduct yourself with awareness and presence in a class, and your attention has begun to turn inwards, you are ideally prepared to participate with our practices. 'Mental Body' Retreat - The Gift of Stillness in the Midst of Despair, Seeing Despair in Action and Breaking the Mould, Transcending Depression .... for Ever! A series of Retreats for those Struggling with Depression, either their own or that of a loved one. Ready to find out more? Click here and get in touch.